Percy Pascoe Cook was born on 1 October 1895 in Hundred of Squire, South Australia , son of Henry James Cook and Josephine Frances Cummings. 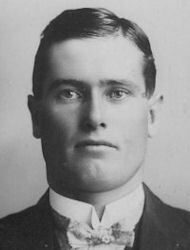 Percy was also known as Frank or P P.
On 4 November 1931, Percy, aged 36, married Constance Mabel Holmes, aged 24, daughter of Charles Percival Holmes and Mabel Maud Excell, in the Men's Hut on the home farm in Mount Damper, South Australia . Frederick Joseph Winstanley was born on 6 June 1860 in Green Patch, South Australia , son of Reuben Hennesey Winstanley and Ellen Fry. On 9 June 1898, Frederick, aged 38, married Josephine Frances Cummings, aged 36, daughter of Joseph Francis Cummings and Annie Morris Oakley, in New Church, Hansen Street in Adelaide, South Australia . Witnesses were Fannie Shepherd and Jemima Hamilton. He died on 24 March 1939 in Wudinna, South Australia , aged 78 from myocarditis. The informant was P.P. Cook, step-son. 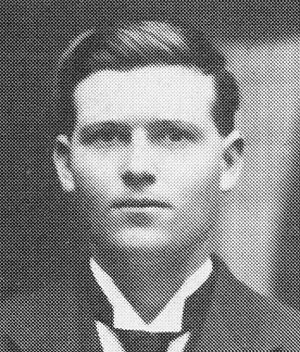 Reuben Winstanley was born on 21 October 1898 in Streaky Bay, South Australia , son of Frederick Joseph Winstanley and Josephine Frances Cummings. He died on Tuesday, 12 July 1977, aged 78 years, 8 months and 21 days, in Port Lincoln, South Australia . Hero Winstanley was born on 7 January 1901 in Hundred of Rounsevell, South Australia , son of Frederick Joseph Winstanley and Josephine Frances Cummings. He died on Saturday, 8 October 1983, aged 82 years, 9 months and 1 day, in Whyalla, South Australia . Leila Winstanley was born on 10 October 1903 in Hundred of Rounsevell, South Australia , daughter of Frederick Joseph Winstanley and Josephine Frances Cummings. She died on Tuesday, 15 October 1991, aged 88 years and 5 days, in South Australia . 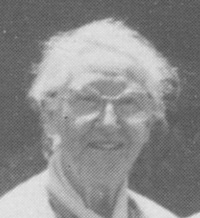 Emily Fairbanks Holmes was born on 26 April 1914 in Tumby Bay, South Australia , daughter of Charles Percival Holmes and Mabel Maud Excell. Desmond Glen Winstanley was born on 11 September 1943 in Wudinna, South Australia , son of Allan Lewis Winstanley and Emily Fairbanks Holmes.